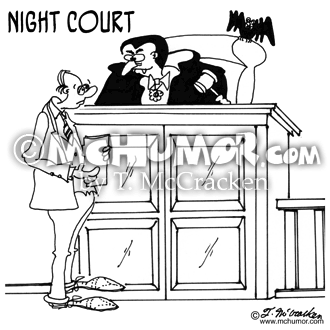 Judge Cartoon 4588: A judge saying to a man, "Oh yeah? 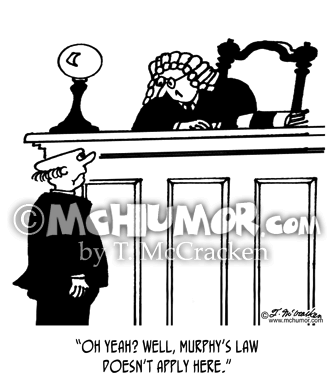 Well, Murphy's law doesn't apply here." 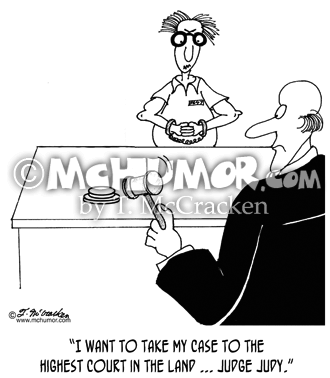 Court Cartoon 3827: A man before a judge saying, "I want to take my case to the highest court in the land ... Judge Judy." 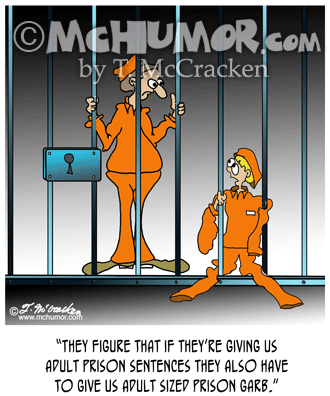 Prison Cartoon 8308: A small child is in prison wearing a uniform that's way too big says to another, "They figure that if they're giving us adult prison sentences they also have to give us adult sized prison garb." 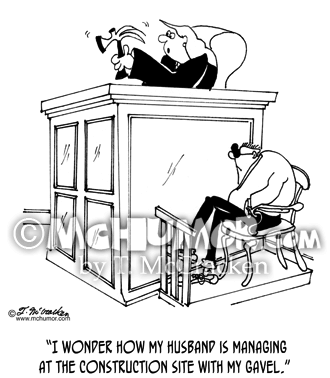 Carpentry Cartoon 6447: A bewildered woman judge with a carpenter's hammer says, "I wonder how my husband is managing at the construction site with my gavel." 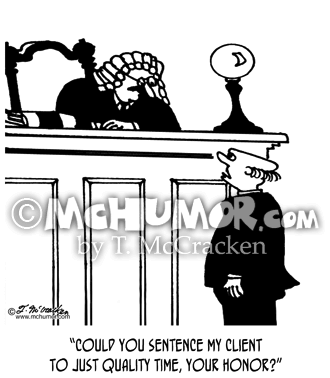 Lawyer Cartoon 5298: A lawyer saying to a judge, "Could you sentence my client to just quality time, your honor?" 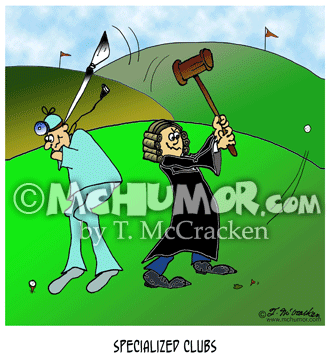 Golf Cartoon 8249: A doctor golfing uses a huge scalpel as a club and a judge uses a gavel. "Specialized Clubs." 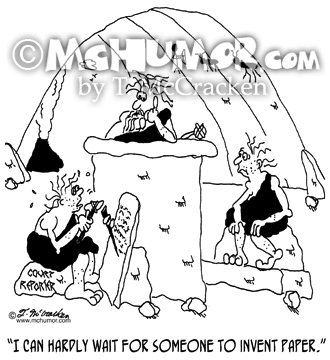 Court Reporter Cartoon 7420: A court reporter chiseling on a stone tablet saying, "I can hardly wait for someone to invent paper." Sentencing Cartoon 5459: A man standing before a judge says, "House arrest? Should I use the one in France, Bermuda, or Spain?" 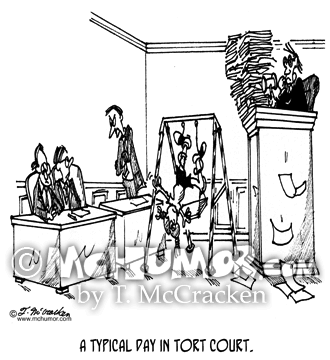 Tort Cartoon 4613: "A typical day in tort court." In a courtroom a kid is hanging upside down on a swing set while a judge's bench over flows with papers.